In literature, the irruption of an animal population in consequence of the extinction of a predator is often discussed on the example of the Kaibab overshoot. Up to 1907 about 4,000 Whitetail Deer were living in the Kaibab National Forest on the North-rim of the Grand Canyon in an area of approximately 320,000 hectares. In the following years, the deer population started to grow. In 1918 it had increased more than tenfold, which caused enormous stress on the deer's food sources. 1924, the population had reached a size of 100,000 animals. Due to the onset of food shortage 60% of the animals died during the next two winters. Since deer fed on every source they could find, the vegetation of the area was destroyed severely. As a consequence, the deer population shrank to a number half of the size prior to this event. As was found out later, the reason for this irruption had been a launch of hunting the predators (puma, wolves and coyotes) of the deer, which was started around 1907. Within 15 to 20 years about 8,000 animals were shot, which caused a rapid increase in the deer population. 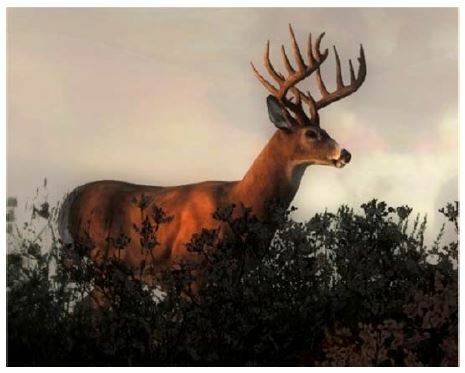 In regard to this deer irruption following the extinction of predators, the ecologist Aldo Leopold famously coined the phrase “thinking like a mountain” alluding to the necessity of having a complete appreciation for the profound interconnectedness of the elements in the ecosystems. A system can be called stable if after facing a shock (e.g. a change in the size of a population) it finds back to its equilibrium (e.g. a ball at the bottom of a bowl). A system can be called robust if after a shock it remains functional as a system, albeit an unstable or changed one (e.g. a human’s psyche after a shock or an impressive event).